The kingdom of Eracelli is in grave danger. Smugglers from the north raiding the capital and depriving the economy, the rival kingdom of the west catching drift of a royal conspiracy, and a group of outlaws well on their way to becoming an army all create the need for a New Age. The once-beautiful kingdom of artisans and muses is finally falling apart from the outside in. In order for the land to be redeemed, the Final Song of the Pipes must be played by the legendary Piper - villain or not - to restore what was once glorious. It is the only option left. But the Piper is a myth rumored to lure children and captivate them with the Song, and only the lucky ones return without a word. Causing chaos and turmoil seemed to be what all the past Pipers knew best. Why would this one stoop down to save the kingdom of the children he is notorious for stealing? Of course, though, that's only a folktale, isn't it? After all, he hasn't been seen in over five years, and the remnants of his cult are practically pure legend. The Song is silent, the kingdom is falling, and the Piper is missing. 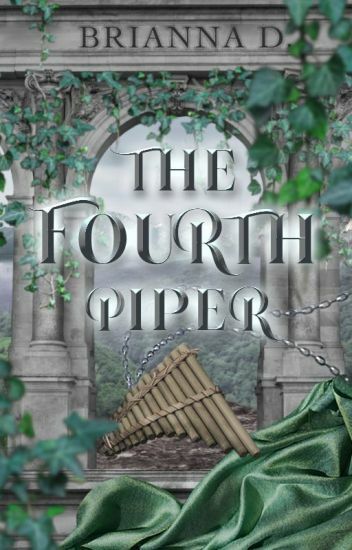 This Fourth Piper must be found, and if an orphaned spy and a broken stranger happen to do it, then so be it. When gym becomes a fight between reality and a burning forest, Josh Davidson realizes his recurring dream might be a sign he's going crazy. Especially when the school bully tries to murder him with energy fists. Not to mention his only way to survive is a voice in his head that won't shut up and a beautiful girl who can shoot ice arrows. Turns out the truth can be crazier than insanity. The voice belongs to a dragon he's now soul-bound to and the girl is a Paladin, a group of humans like him. It's like a wish come true, and he cannot wait to join this new world of dragons and magic. Except the Paladins are not alone. A darkness is rising from its slumber, intent on destroying the Paladins and everything they stand for. When Josh's baby brother gets dragged into their plans, things get personal. With only a little bit of experience and a disjointed group at his side, Josh risks not only losing his brother -- he risks losing a war. We all love fairy tales growing up. The great adventures, the handsome princes, the gorgeous maidens -- these tales have been etched in our memories. But what if these fairy tales are given a twist? What if the stakes have changed? The Oh My! Anthology celebrates the very essence of this diverse orange world -- imagination! Did you ever wonder what would happen if fairy tales happened in space? Well, if you did, you have come to the right place! This anthology is an ensemble of the best, brightest, finest and most exuberant authors of this fancy orange world! In this anthology, they will try and mix Science-Fiction and Fairy tales from your childhood! Enter to see the unseen! A tag and rant book. Ye be warned. If you value an honest, in-depth, and quality review of your story, I will give you one. It's a bit of a risk and there's a bit of a cost...but feedback doesn't come as cheap as in here nowadays. If it's worth the risk to you, dive in. I need a good story to read! Does yours have what it takes? Looking for advice without exposing your precious writing? Take a look at some previous reviews! There are over forty parts full of writing advice for others that await to benefit you! This is a contest and a review book. People can see how their stories stack up against others in terms of my opinions. You will definitely gain reads from these. Possibly even devout readers! By applying you will be automatically entered into a contest with an organized point system. Generous, heavy rewards for the first, second, and third place winners! See the contest rules page for more information! Now is your chance to see me make a fool of myself on film, possibly while reviewing your book! Take a look inside for more information. Three Reviewers for your story. Enter if you dare.